This is sort of a rant, rather than a regular post. You’ve been warned. There are often people who come in looking for ‘baby yarn’. At first this request seems pretty normal, lots of people knit baby things. Lots of people actually get their knitting start with baby things. They are quick and satisfying without the fitting worries of adult garments. 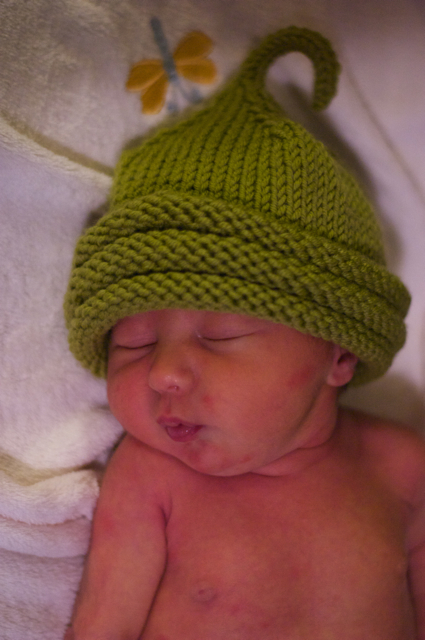 Hand knit baby things are often destined for the keepsake chest or passed on where possible. It’s a great thing. The term baby yarn, however, is not. The first time someone asked me for this baby yarn I racked my brain and pointed them in the direction of the Snuggly yarn, a washable acrylic in soft shades. Perfect for baby things right? Mistake. This was not what they were looking for at all and I looked kind of dumb. The term baby yarn is kind of a weird one, it has a couple of different meanings, just to complicate things. It’s an older term (no offence intended) and from what I can gather it means an acrylic yarn that is a 4 ply gauge, and usually in pastels. To further complicate things the term 4 ply isn’t really that accurate either, in this case it means a 28 stitch gauge. So, should the term throw you, I think you are best off looking for a 28 stitch gauge of any kind. Which brings me to my next rant: what is baby yarn really? There is no such thing as baby yarn, any yarn is perfectly fine for baby! Of course, you will want something soft, that’s a no brainer but although some think wool is off limits, I say no way! Why deny babies the lovely sensation of a super soft merino wool against the skin? Or, if you have a particularly pampered baby, some cashmere, or alpaca! The real question is to go washable or non washable. This usually depends on Mummy. Is she a knitter? She will probably hand wash your precious knit. If not, use your judgement (if you’re not sure, go washable, don’t be disappointed). There are of course, lots of nice washables and a few of my current faves are Rialto (4ply, DK, and Aran) by Debbie Bliss, Classy (aran weight) by Dream in Colour, and all the Spud and Chloe family (new colours just came in too, check out the nice plummy purple). So, in conclusion, Baby Yarn does not (in my humble opinion) really exist, so just choose something soft and pretty that fits your adorable pattern! I might add that our sale this week is Cashmerino Aran, colours 12, 21, 6, 5, 20, 24, and 19. Regular $8.95, now 25% off at $6.71, so you can whip up one of these cuties today!